NARRATOR: This week, the United States Supreme Court is hearing a symbolic case concerning a small farmer’s lawsuit against agribusiness giant Monsanto concerning their pesticide-resistant soybean seeds. Since its introduction of genetically modified crops, Monsanto has generated a sea of controversy among small farmers across the U.S., and the company is now trying to expand south into Mexico. After years of trying to penetrate the Mexican market, Monsanto, Dupont, and Dow had a breakthrough when outgoing Mexican president Felipe Calderón granted them the right to cultivate GMO corn in various northern Mexican states. Protesting the influx of genetically modified crops in their country, activists, farmers, and academics all across Mexico have been mobilizing to urge the new Mexican president Enrique Peña Nieto to reject these permissions. In early February, UNORCA, the National Union of Autonomous Regional Peasant Organizations, held a week-long fest with 50 campesino farmers from all over the country participating in Mexico City. FRANCISCO JIMÉNEZ MURILLO, MEXICO CITY COORDINATOR, UNORCA (SUBTITLED TRANSL. ): So we believe that the only relation that we have left, us the growers, with mother nature is specifically with the natural seeds. And we have to remember something. Mexico has 60 distinct varieties of corn that we have cared for over the last 10,000 years, and with this the world has been nourished. We will fight to the end. This is a struggle that we have started for life, the healthy life of our country. NARRATOR: At the conclusion of their fast, thousands of people marched in central Mexico, uniting their voices against the introduction of GMO corn and urging President Peña Nieto to take a stand against these crops. LUÍS PINEDA, UNORCA MORELOS (SUBTITLED TRANSL. ): What does Peña Nieto do? Peña Nieto lies to the people. Look at how he is now inventing things. This will result in sickness. They conducted studies at the Autonomous University and also conducted studies in France with rats consuming GMO corn to see what results it would yield. The results in France were that the rats had tumors. The rats had cancer. What will happen with Mexican citizens here? We can’t take it anymore. Leave, Monsanto! This is what we ask, all of us Mexicans who eat tortillas made with native maize. NARRATOR: A delegation of hundreds of farmers from the northern states where the GMO corn will be planted traveled a whole day to arrive at the march. GERARDO GARCIA, UNORCA DURANGO: I believe [corn] is the plant and seed that is most consumed in our country, our native seed, native to Mexico. It is important to have movements and peaceful protests like this in support of food sovereignty, and healthy production of corn that can nourish all of our families. NARRATOR: Mexico has one of the highest per capita consumption rates of corn in the world. In 2005, Mexico occupied the fourth place for maize production. But this has since dropped to seventh place, largely due to importation of corn from the U.S. that has driven the crop’s prices down in Mexico. DEYANIRA NAVARRETE, ASSEMBLY OF ENVIRONMNETALLY AFFECTED PEOPLE (SUBTITLED TRANSL. ): We have distribution problems, because here in Mexico it seems that we produce enough corn and beans, yet many corn farmers do not have a way of distributing their products to cities and centers of consumption and it’s not moving. Current policies merely increase foreign imports every year. So now they say: you know what, not enough corn is arriving to Mexico City; we must increase production by increasing the external supply. And a solution they are questioning is to increase the production of genetically modified corn instead of relying on the local ancestral knowledge of indigenous communities. NARRATOR: In the United States, 86 percent of corn is grown from Monsanto genetically modified seed. And since its introduction, seed prices have grown 259 percent. For already impoverished small farmers in Mexico, this increase in prices will have devastating effects. Mexican President Peña Nieto has declared a war on poverty and hunger. Protesters decried this initiative as hypocritical, believing that GMO corn will increase hunger and poverty. MARIA GUADALUPE BENITEZ, PROTESTER FROM MORELOS (SUBTITLED TRANSL. ): [GMO corn] is going to cause more hunger because we don’t even know how it grows because it is different. The people who are used to cultivating one type of corn are angered because they are paid a very low price. Therefore hunger will just continue. Peña Nieto says things just so people in other countries will believe him without knowing the truth. NARRATOR: Monsanto commonly sues farmers who have not purchased their seeds but have GM seeds present in their fields due to contamination or cross-pollination. Hugh Bowman, a seventy-five-year-old soybean farmer from Indiana is countersuing Montsanto in the Supreme Court after they sued him for over $84,000 for planting and reusing seeds from GMO soybeans, which he purchased at a grain elevator. It appears that many of the justices, including Clarence Thomas, who was formerly a lawyer for Monsanto, are in favor of the corporation’s position. Chief Justice John G. Roberts Jr. asked, quote, why in the world would anybody spend any money to try to improve the seed if as soon as they sold the first one, anybody could grow more and have as many of those seeds as they want? The result of this lawsuit could have very strong repercussions in Mexico if GMO crops are introduced. PETER ROSSET, LA VÍA CAMPESINA ADVISER: Well, I have to say, I was just reading the transcript of the hearings today, and I was somewhat disappointed that the attorney who was challenging Monsanto didn’t actually call into question the right to patent life, but was really only arguing about something called patent exhaustion doctrine, which is whether or not the second or third generation would still be the property of the patenting company. It’s kind of nibbling around the edges, because as far as I’m concerned and farmer, indigenous peoples’ organizations are concerned, there should never be any law that allows property rights over living things. And that we would like to see that challenged. Of course, if Bowman loses and Monsanto wins, it means that any GMO seed that’s found because of contamination, because of accidental planting, whatever, in a farmer’s field means that Monsanto or any other company who owns that patent could sue those farmers and recover damages from them. Of course, that’s very bad. But it doesn’t really get at the larger issues around GMOs and around patents on life. NARRATOR: In the coming days, the Supreme Court will make their decision on the Bowman v. Monsanto case. Mexicans say they will continue to mobilize to prevent the introduction of genetically modified corn in their country. Andalusia Knoll with Christiane Rasguado for The Real News Network in Mexico City. On Tuesday, the Supreme Court heard the case of a small Indiana farmer versus the bio-tech giant Monsanto. In the case, a 75 year-old man is being accused of patent infringement by the company, but Vernon Bowman isn’t the only farmer Monsanto is pursuing legally; overall the seed giant has filed 144 lawsuits against 410 farmers, but do the little guys stand a chance against Monsanto? Here to discuss the ongoing battle against the bio-tech giant is Patty Lovera, assistant director for Food and Water Watch. Abby Martin talks to Bill Freese, science policy analyst at the Center for Food Safety, about the Supreme Court case between Monsanto and one Indiana farmer, and the implications this could have on international agro-business. Political heavyweight Monsanto took on an Indiana soybean farmer today in the U.S. Supreme Court over Monsanto’s patents of its Roundup-resistant seed. And, once again, Justice Clarence Thomas was on the bench, hearing the case with the other justices. Thomas worked as a corporate lawyer for Monsanto in the 1970s. Thomas has participated in at least one other case involving the company, Monsanto v. Geertson, which resulted in a favorable decision for Monsanto; Thomas joined the majority in that case. Some have criticized Thomas’ participation in cases involving a previous employer. Monsanto is so used to the question that it gets space on the company website. Thomas knows something about the subject of today’s case: In 2001, he authored an important decision in this field, J. E. M. Ag Supply, Inc. v. Pioneer Hi-Bred International, which — while it didn’t involve Monsanto — held that new, developed plant breeds are patentable. At issue today were Monsanto’s patents of its herbicide-resistant seed. Monsanto requires farmers to use its purchased seed for just one planting cycle; they must buy new seed every spring. Farmer Vernon Bowman has not reused any of the soybean seeds hepurchased. However, Monsanto’s patent does allow growers to sell second-generation seed to a grain elevator, where Bowman purchased his seed and has been planting it in some of his fields since 1999. That’s where Monsanto took issue. It claims Bowman’s use of the second-generation seed infringed the company’s patent rights, even if it was sold by a third party and is not the original Monsanto seed, but descended from it. Monsanto won its case in a lower federal court. Monsanto typically reaches a settlement with farmers it has sued for patent infringement. This time, The Guardian reports, the case traveled to the Supreme Court because 75-year-old Bowman — already bankrupt from an unrelated land deal — couldn’t pay damages and is fighting the case with literally nothing to lose. Clarence Thomas aside, Monsanto has plenty of other ties to Washington. Eight lawmakers own stock in Monsanto, including Sen. Kay Hagan (D-N.C.) and Reps. Dave Camp (R-Mich.), Joe Kennedy III (D-Mass. ), Alan Lowenthal (D-Calif.), Michael McCaul (R-Texas), Jim Renacci (R-Ohio), Jim Sensenbrenner (R-Wis.) and Fred Upton (R-Mich.). Monsanto itself contributed more than $500,000 to federal candidates in the last election cycle, primarily favoring Republicans. Monsanto spent nearly $6 million on lobbying in 2012, down from its $8.8 million record in 2008. That’s still enough to keep Monsanto the big guy on the agribusiness block — it has spent the most on lobbying by far in the industry since 2008; the American Farm Bureau is the only other to even come close. The majority, by far, of Monsanto’s lobbyists have made at least one trip through the revolving door; in-house lobbyist Michael Holland, Jr., for instance, logged 13 years working for various House Republicans before he jumped to Monsanto in 2011. Third on that agribusiness lobbying list is CropLife America, one of a number of political heavyweights that have jumped on board with Monsanto. CropLife submitted an amicus brief to the Court supporting Monsanto’s position. Other powerful groups that have filed amicus briefs on Monsanto’s behalf include Pioneer Hi-Bred International (from the 2001 plant patent case), Business Software Alliance, American Seed Trade Association, New York Intellectual Property Law Association, American Intellectual Property Law Association, Bayhdole25, Washington Legal Foundation, Biotechnology Industry Organization, CHS Inc. and the Wisconsin Alumni Research Foundation, as well as a number of soybean associations and economists. The Obama administration pushed the Court not to take the case in the first place, echoing concerns of those filing briefs for Monsanto that a reversal of the lower court’s decision could adversely affect other patents involving DNA, nanotechnology or other self-replicating technology, according to the Huffington Post. A few parties have written amicus briefs in Bowman’s support, including the Center for Food Safety, Knowledge Ecology International, the Automotive Aftermarket Industry Association, the Automotive Parts Remanufacturers Association, the International Imaging Technology Council, the American Antitrust Institute, National Farmers Union, Food & Water Watch, the Organization for Competitive Markets, the National Family Farm Coalition and the Public Patent Foundation. Many different versions of the fable “Stone Soup” have been written throughout history. One story is about a hungry soldier who, when passing through an impoverished village, announced that he would make ‘Stone Soup’. The promise of mysterious Stone Soup persuaded the small village to pool its resources and offer up its hidden onions, carrots, and spices to feed everyone in town. By working together, with everyone contributing something, a greater good can be achieved. Today, America can be a food desert, devoid of healthy options and corporate transparency, but with our resources combined, we can move toward a more informed, healthy, and just food system. Mandatory GMO Labeling, Testing and Regulation is a BIG step along the way to an honest and sustainable food democracy in the USA. Jump on an action-bound bus from your region to the FDA! Pack a picnic, bring an arm full of (vegetarian) ingredients (herbs, spices, veggies, stock) from your region to add to the (Giant) “Stone Soup”. 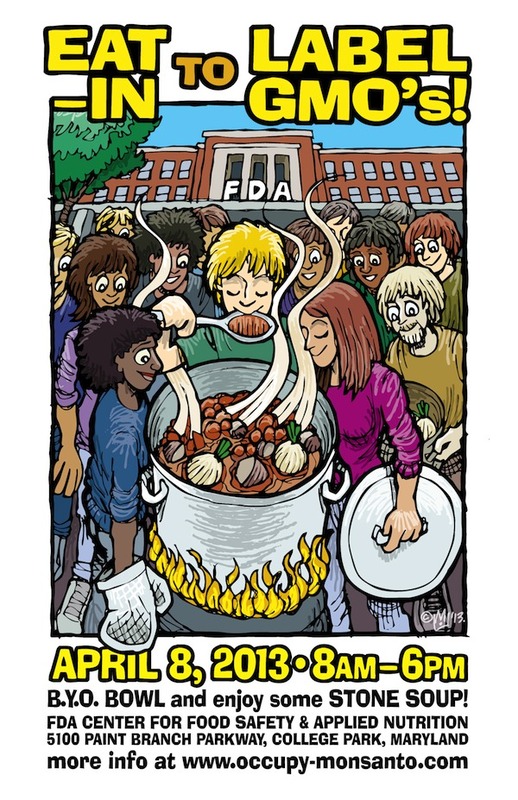 Join a demonstration at the FDA and enjoy a day of sunshine and picnic-style protest. Are YOU hungry for some food democracy? On Monday, April 8th, Americans will head to the FDA, to face down the institution that chooses Monsanto’s industrial interests over policy transparency and public health. Join this historic event to make your voice heard as we begin to take back our food system. 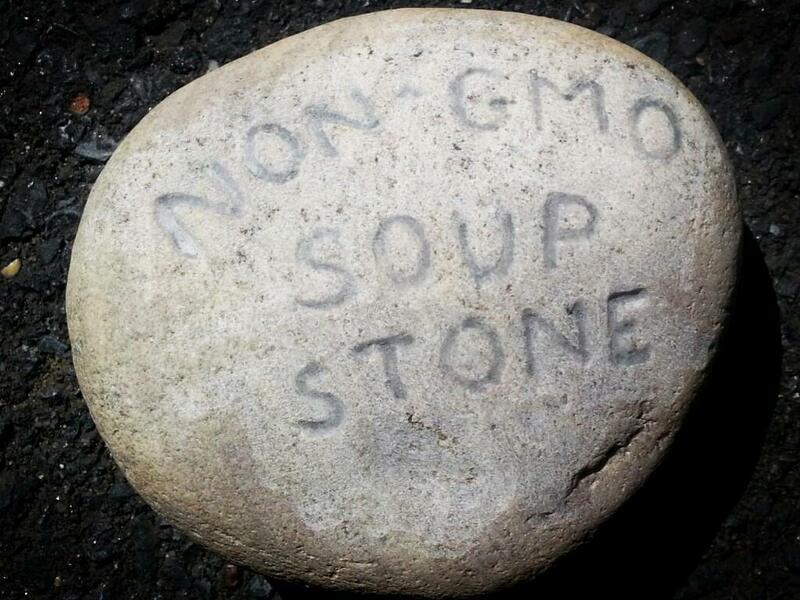 What: Eat-In for GMO Labeling at the FDA, Stone Soup Style. Why: The FDA is supposed to be the watchdog that protects us. Their purpose is to safeguard the consumer against industry, but instead they often seem to do the absolute reverse. The FDA has failed in its core purpose. FDA policies have lead to: a Lack of Transparency, Revolving Door with Industry, Market Bullying, Widespread Illness, Seed Privatization and Well Documented Risks to our Health: Lets take back our Food System! The Occupy Monsanto team is eager to work with you on scheduling and filling a bus from your region to College Park, MD (Washington, D.C.). We are able to offer limited financial support for buses that register early and our organizers can offer helpful guidance and advertise your bus on this page. Our national organizers are here to help with all of these steps. 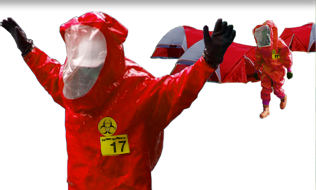 Boston, MA –> BostonFDAbus@occupy-monsanto.com – Reserve your seat today! Burlington, VT –> VermontFDAbus@occupy-monsanto.com – Reserve your seat today! Hartford, CT –> HartfordFDAbus@occupy-monsanto.com – Reserve your seat today! New York City, NY –> NYCFDAbus@occupy-monsanto.com – Reserve your seat today! Central New York –> CentralNYFDAbus@occupy-monsanto.com – Reserve your seat today! 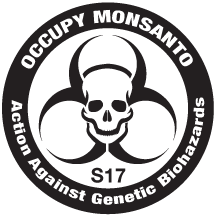 Newark, NJ –> NewarkFDAbus@occupy-monsanto.com – Reserve your seat today! Northampton, MA –> NorthamptonFDAbus@occupy-monsanto.com – Reserve your seat today! As buses to the Eat-In are scheduled, we will list them above along with contact and sign-up information. This page will be frequently updated. To see if there is a bus publicly announced in your area, please check back here frequently. If you have any other questions about buses, please email StoneSoup@Occupy-Monsanto.com or call Gene at 202-805-1603. By Plane: Local airports include Reagan National (DCA), Baltimore-Washington International (BWI), and Dulles International (IAD). Only DCA & BWI have connections to mass transit options. From DCA take a Fort Totten-bound Yellow Line train to Fort Totten Station, transfer to Greenbelt-bound Green Line train, get off at College Park-U of MD Station. From BWI, take the B-30 MetroBus ($6 cash fare) to the Greenbelt Metro Station, then take the next train one stop to College Park-U of MD Station. Thank you for your interest in helping fill up a bus of safe food activists!